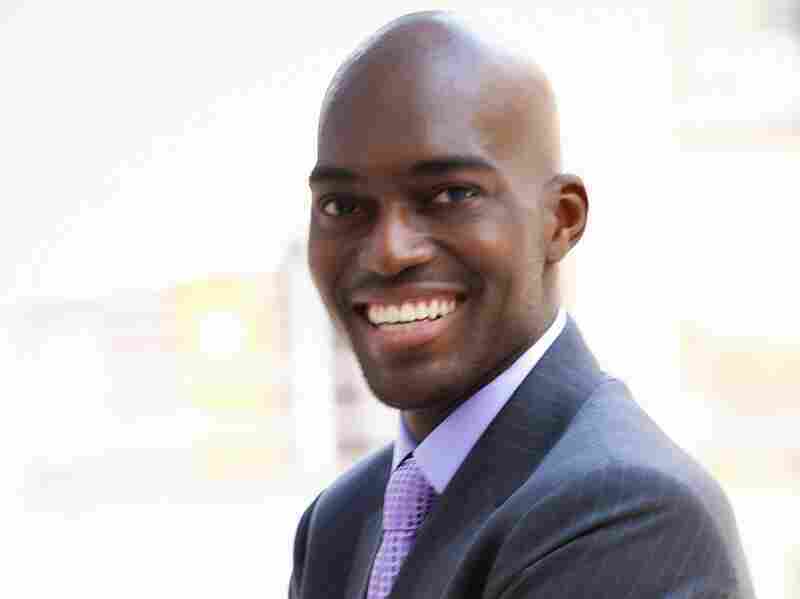 Olympic Hopeful Works To Improve Bone Marrow Registries : Shots - Health News Lawyer and Winter Olympic hopeful Seun Adebiyi made his battle with leukemia a quest for more donors and better registries in African countries. Starting a bone marrow registry in Nigeria "became an obsession" for Seun Adebiyi. "I thought that even if I couldn't find a match, I wanted to make it easier for other black patients to find a match." When Seun Adebiyi, a Nigerian-American lawyer and aspiring Olympic athlete, was diagnosed with a rare form of leukemia in 2009, he quickly found that it was not going to be easy to find treatment. As he explains it, "my only chance of survival" was a stem cell transplant. These transplants either come from bone marrow or blood, and the best matches usually come from within the same ethnic group. If you are from an ethnic minority group, it's not so easy to find one. Adebiyi didn't have a full sibling, so he had to turn to a national registry in the U.S. to find an unrelated donor. African-Americans only make up 8 percent of the bone marrow registry and, as Adebiyi learned, they tend to be more genetically diverse than Caucasians. "The theory behind that is that civilization started in Africa so you have a big melting pot there, whereas the groups that branched out to Europe and America were more genetically homogeneous," he explains. According to the New York Stem Cell Foundation, African-American patients have less than a 17 percent chance of finding a bone marrow match compared to 70 percent of Caucasian patients. Struggling to find a match, Adebiyi turned to his native Nigeria to do a bone marrow drive, but he was told that he couldn't hold one because Nigeria didn't have a registry. "It became an obsession," he says. "I thought that even if I couldn't find a match, I wanted to make it easier for other black patients to find a match." In late 2009, Adebiyi made an agreement to store the Nigerian donors on the South African registry, and he held Nigeria's first bone marrow drive. He didn't find a match there, but as soon as he was released from hospital after his own stem cell transplant, he set up and launched a separate registry in Nigeria. It's publicly accessible and is available to find suitable donors for patients of African ancestry in the rest of the world. Adebiyi describes his own transplant as "a miracle." A Nigerian woman gave birth to a healthy baby in the United States about six months after he was diagnosed. Luckily, someone had told her that she had the option to donate her umbilical cord blood to an American public bank. It was a match for him. 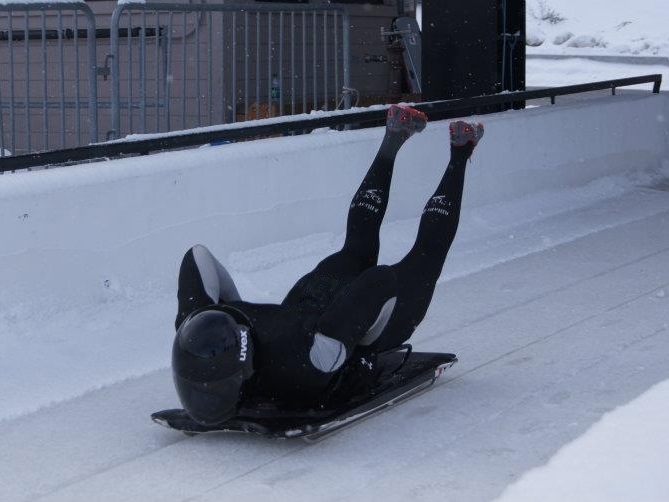 Adebiyi is training to compete in the Skeleton at the 2014 Winter Olympics after his battle with cancer. That donation saved his life, but it also made him realize how others were losing theirs because of a lack of awareness and education. "Most people think that a bone marrow donation is very painful when the truth is, it's most often collected as a blood donation, and to join the registry takes nothing more than a cheek swab," he says. Adebiyi also points to a lack of education in the medical establishment. "There's a kind of psychological paralysis that infects our medical community and makes people think that saving lives by collecting cord blood and bone marrow in Africa is just impossible." His work has proved them wrong. At one drive in 2009, they recruited 300 donors on to the Nigerian registry, and it has already found 3 potential matches. They are also now launching an umbilical cord blood bank. "It's a tragedy to think that there are millions of cord bloods in Africa that could save millions of lives, and they are just being discarded as medical waste because there are no storage facilities or cord blood banks in the entire continent of Africa," he says. The cord blood bank is of particular interest to African-Americans who can't find bone marrow donors. "Certain studies have compared cord blood to bone marrow and found that a cord blood bank of 50 thousand units could provide as many transplants as a bone marrow registry of 5 million people." Adebiyi describes becoming a donor "as almost like an insurance scheme." Before he was diagnosed, he was a young, healthy, aspiring Olympic athlete with no history of cancer in his family, "so this is something that can happen to anyone," he says. "The last thing you want is to be in a situation where you can't find a donor and you have regrets to think, well, what if there were more people?" He is now focused on moving forward with his projects in Nigeria, as well as training for the skeleton at the Winter Olympics in 2014. "I'm terrified every time I stand at the top of the track. You're running at a full sprint for 10 or 15 meters and then you dive on a sled that doesn't have any brakes, head first, and you go down this mile-long ice chute at 80 miles an hour, but I try to console myself by saying, I've already had cancer, what's the worst that could happen?"